Apolo­gies up front. This was anoth­er of those visu­al ideas that get stuck in your brain, and have to come out. This one’s been lodged in there since one of my rou­tine morn­ing jogs some weeks back, see­ing a Cal­i­for­nia Flag stick­er on the back of someone’s car. 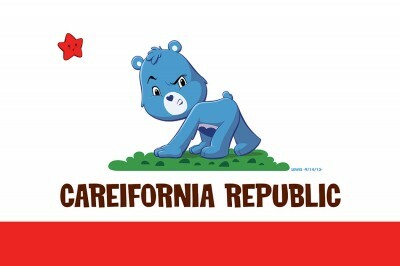 For some rea­son, my brain envi­sioned replac­ing the Cal­i­for­nia griz­zly bear on the flag with a Care Bear. And Grumpy just always seems to lend him­self to things like this. So why am I draw­ing a Care Bear, this long after hav­ing worked on the prop­er­ty? Well, all I can plead here is that I worked with these char­ac­ters for two sea­sons’ worth of an ani­mat­ed series, as well as on sev­er­al direct-to-video fea­tures (in both 2D and CG). Plus Care Bears also has the dis­tinc­tion of being the only prop­er­ty I’ve done work on for more than one stu­dio. Maybe spend­ing that much time with it, per­haps the lit­tle guys are bound to be still some­where in the nooks and cran­nies of my brain, and they just have to come up for air some­times. 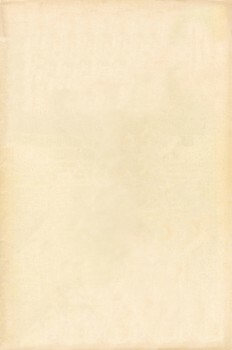 This entry was posted in Animation, Personal and tagged Care Bears. Bookmark the permalink.